Note: Ref. Adams S-2025 ; Machiels S-634 ; VD16 E3647. 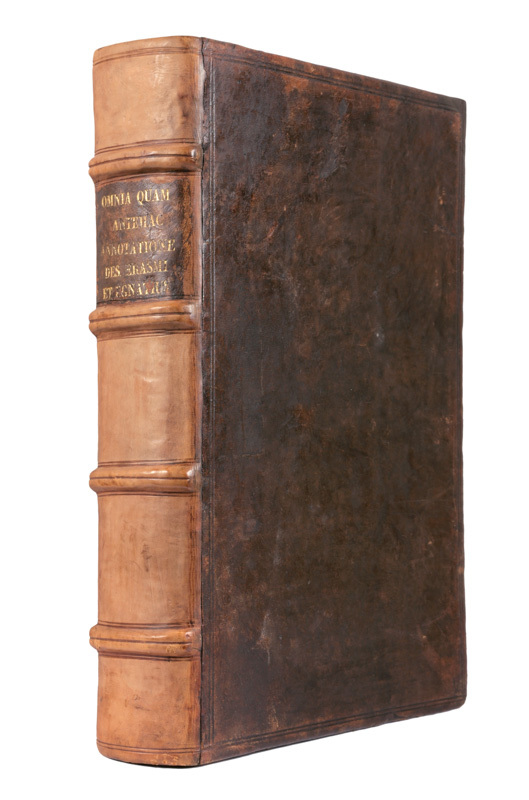 Third edition of the Scriptores Historiae Augustae edited and commented by Erasme (1st ed. 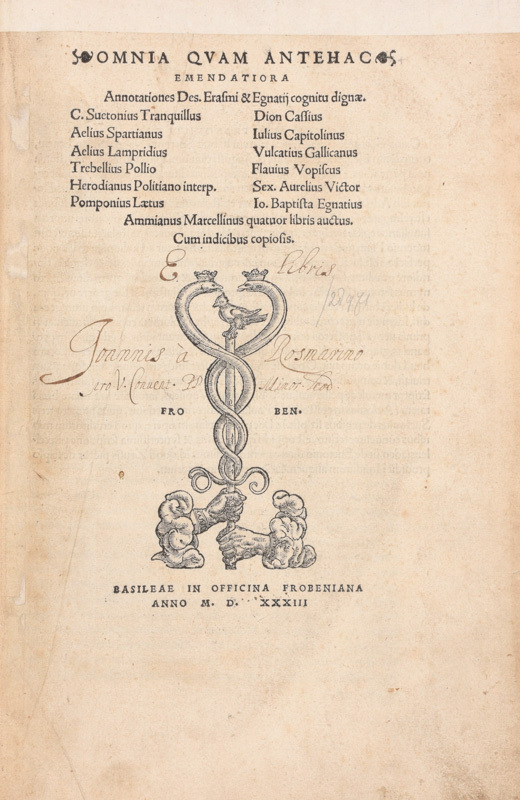 : 1518) and several scholars including Giovanni Battista Egnazio (1478-1553).